(This year’s district attorney primary vote totals were 100,678 to 81,173 [55-44%]. 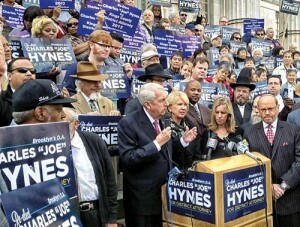 Hynes ran unopposed in 2009 on the Democratic, Republican and Conservative lines. But in 2005, candidate State Senator John Sampson came within 5,000 votes of Hynes in a primary with an even lower vote total than 2013 (Hynes 47,998 to Sampson’s 42,337). This writer asked Hynes about the seeming inconsistency: There are those of us who know that you have somebody working on your campaign who is a former felon who spent time in prison for causing serious bodily harm. That person has rehabilitated himself so much so that you feel confident to have him on your campaign. Why cannot any other person who has committed a crime – including felonies – rehabilitate themselves, do their time, then come out as a private citizen and support any campaign they want? But Norman was not Thompson’s campaign manager. The irony is D.A. 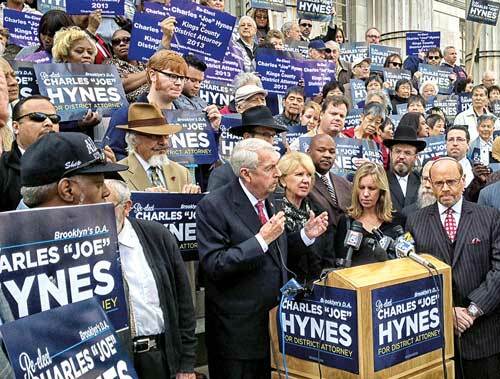 Hynes has many programs targeting African-Americans who have gotten in trouble with the law. 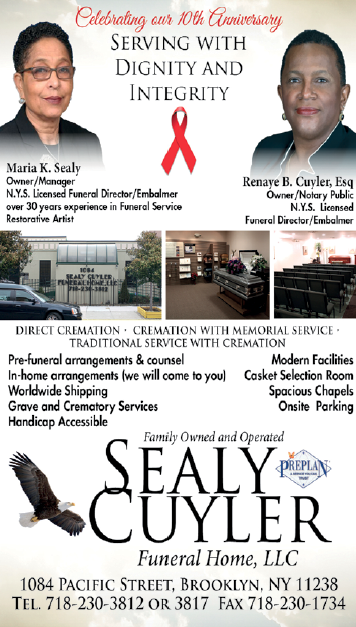 Limited funding prevents access to all who may need reentry services. Hynes wants to expand these programs and make them available to all African-Americans coming out of prison. Is Norman not permitted to reenter society as a private citizen similar to other formerly incarcerated individuals who have served their time?